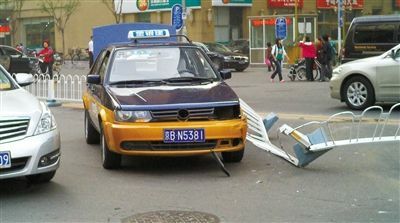 Beijing News reports that on Friday afternoon, a foreigner got drunk at a downtown hotel, slashed a server with a kitchen knife, carjacked a minibus black Buick, crashed into four other vehicles, and hit a pedestrian. Then he tried to flee by foot before two passersby and a police officer subdued him. 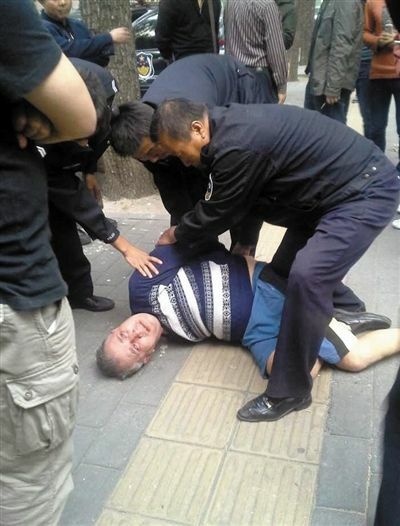 Several witnesses said they saw the man wielding two knives at around 3:40 pm at Kyoto Garden Hotel at Jianguomen. The article also states that he looked like he was on drugs. We’ve seen our share of bad laowai on this site, but this guy ranks right up there with the worst. Usually the black-out drunk foreigners in this city stumble around being very loud, crash a movie and shout “Uhmerica!” at inappropriate times, maybe pee in public or get into a fight or two. Knifing and car-stealing aren’t part of the equation. Whatever liquor this one consumed, be advised: avoid. 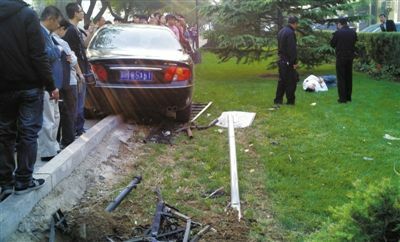 UPDATE, 10/18, 1:41 pm: A revised chronology: man walked into a hotel, took two knives, slashed waiter, jumped into a Buick that was waiting to be washed, crashed into minibus plus a few other cars, drove on the sidewalk, knocked down a pedestrian, attempted to flee on foot, ran into a restaurant where a chef was having a meeting with his staff, ran out, chased down by chef and another man, arrested. Still being investigated. What’s even more newsworthy is that you’ll never hear about locals exhibiting such irresponsible behavior. Except on Tudou, of course.